I just saw a commercial for Jif where a college girl got a care package from her mom that included a jar of makes-you-feel-good peanut butter. Ok, a few things wrong with this. Seriously, peanut butter? It’s great an all but does that really need to be sent to a college kid? It’s not like she’s traveling abroad or anything and peanut butter is in scare supply. If a college kid wants anything sent to her, I’m pretty sure it’s not peanut butter. I’m pretty sure some money or beer would suffice. 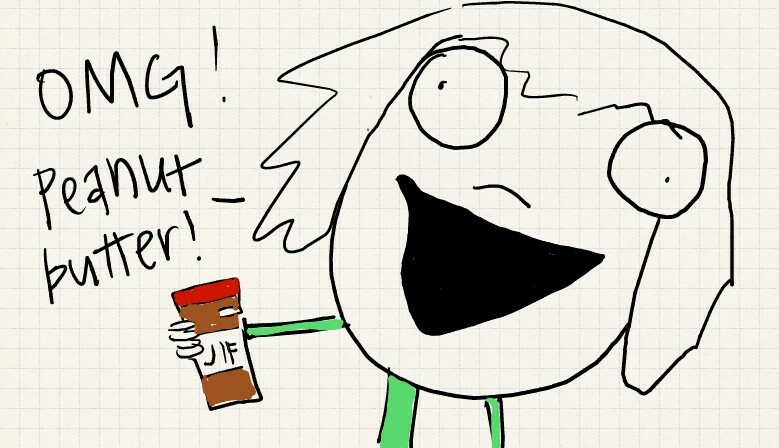 Is this really the best the Jif can do to try and tug at America’s heart strings? I think that makes me want to buy Jif less. That and my very mild peanut allergy, but that’s beside the point. Maybe that is all mom could afford after paying other college expenses…maybe a hint that while loved she is on a peanut butter budget. I’ll agree that this may be the case – college costs a bajillion dollars more than it should….but you should have seen the house the mom lived in and the dorm stuff this girl had. It’s entirely their fault for overspending on home decorating if they are on a peanut butter budget.